This entry was posted in Malt of the Month on 2 April 2019 by Katherine. 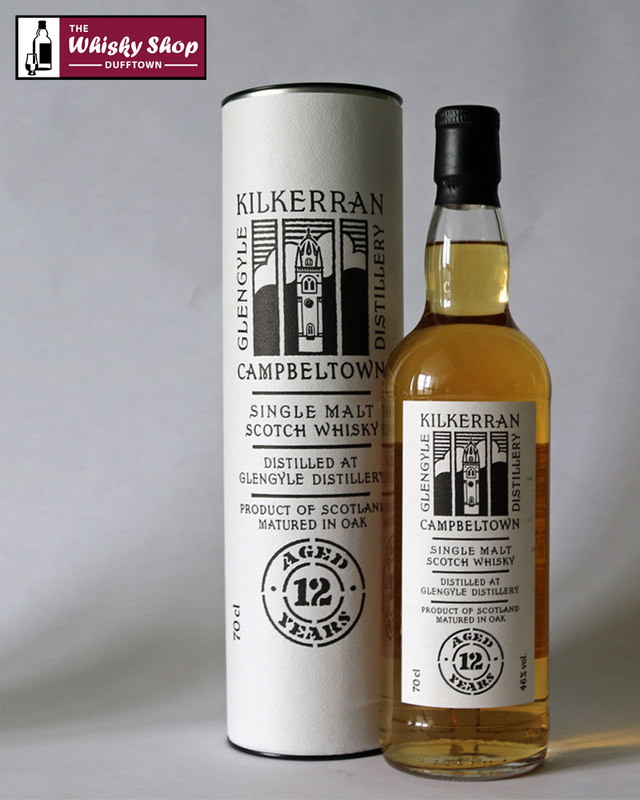 The Kilkerran single malt is a lightly peated, double distilled whisky which is 70% bourbon casks and 30% sherry casks. Read our tasting notes below! Nose – sherbet lemon, wood smoke and coal dust. Taste – Fish shop scraps, real lemonade turning into mocha. Finish – wood smoke returns and smouldering newspapers. Nose – Soft waves of light wood smoke and orange oils. Taste – Lemon pepper and spiced Simnel cake. Finish – Very warming with white pepper notes. Nose – Lemon curd, soft and gentle, rock salt on salmon. Taste – Meaty pepper, spicy chilli flakes, hint of smoke at end. Great to wake you up. Finish – What a beauty! Long, warm and rounded. This entry was posted in Other Whisky News on 29 March 2019 by Katherine. As you may have noticed from our social media and website, we've been receiving a lot of new products recently. Brand new releases from new distilleries, new batch releases, bottles that have been re-branded and so on. All of these take up shelf space, which is fantastic as it means we have even more items for you to choose from. However, it does mean that we're very quickly running out of shelf space - our WSD Gin Palace is already overflowing with gins and completely out of space for our next new arrivals! Solution? Spring sale! This sale is a complete mixture of items, including high end collectables, popular gins, best selling cask strength whiskies, cracking cognacs and more! A lot of these won't be restocked, some due to them having old packaging that's now been redesigned, new batches being made or because they were limited release and no longer made. This is a brilliant chance for you to get a great item (or more than one) at a fantastic price. Don't forget that we can ship your items to most countries - check our Shipping section for full details. All items below are now with 15% off their original price (the price shown on the list is the current reduced price you pay if purchased before 30th April 2019 when sale ends). Our website is taking a bit of time to process all these sale items onto our Special Offers section, but if you search for the products listed below they will show up with the correct reduced price for you. Several items are already low in stock, so you may need to be quick! 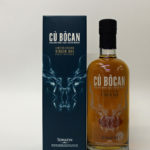 This entry was posted in Blog, New Whisky Releases and Bottlings on 17 March 2019 by Vicky Keough. It’s not often that here at The Whisky Shop Dufftown we all agree on how good a whisky is. There’s normally one of us whose opinion differs to the others. However that moment has arrived with the release of Kingsbarns Dream to Dram. Kingsbarns Distillery has distilled, matured and bottled this single malt from some of the earliest casks it filled. It has been matured in two types of casks then married together: 1st fill ex-bourbon barrels and shaved, toasted and re-charred barriques. On the taste hoppy, with burnt toffee background and dark chocolate digestive biscuit that's gone soggy from being dunked in coffee. And the finish almost-but-not-quite medium length, lingers just long enough to warm the mouth. On the nose lemon shortbread, lemon drizzle cake, marzipan and almonds. Sherbet lemons and Franzipan cake. On the taste lemon meringue pie covered with cinnamon. Pear skins covered in pineapple juice (tinned) with a touch of cider vinegar. There is an underlying smoothness on the first mouth full. The finish we found to be medium length with the flavours drifting in and out. Pleasantly warming. So overall, a very drinkable dram and good value for money. 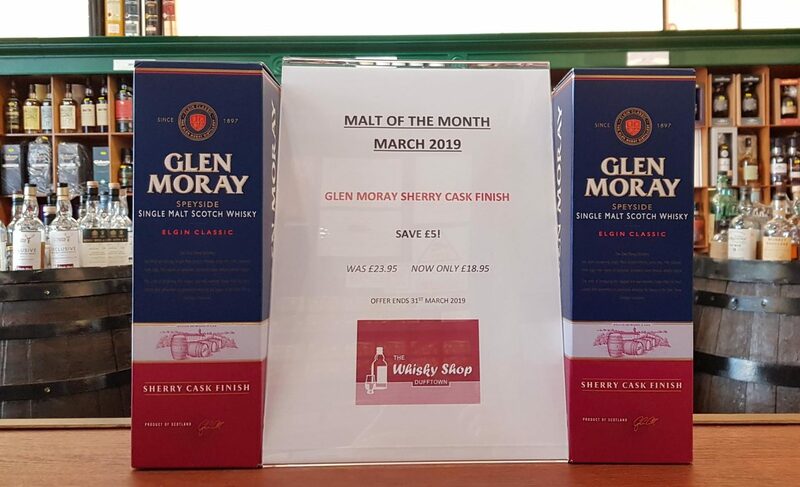 This entry was posted in Blog, Malt of the Month, Tasting Notes on 2 March 2019 by Katherine. We've been racking our brains here at TWSD to think of ways to thank our customers for being, well, our customers! And to show that we really do appreciate the support we receive through places like our social media accounts. So we've decided that each month, we are going to get together as a team and pick out a whisky (or gin) from our shelves that we think is a fantastic drink. We'll write our tasting notes for it, so that you get our own true thoughts. We'll never be influenced by a distillery or other people, so you can rest assured that we're not being paid by a company or distillery to tell you that their whisky is the best ever. You'll always get our actual thoughts and tasting notes. Truly Independent Whisky Shop. Oh, and the bottle we pick for the month will be discounted in price too! For our 1st Malt of the Month, we have picked..... Glen Moray Sherry Cask Finish! Nose - Raisins and apricots soaked in sherry. Dark chocolate shavings, followed by fresh wood shavings and sharp citrus fruits. Taste - Tangy orange marmalade, with sour apple and pears topped off with chocolate covered raisins. It's soft and gentle, with gentle spices coming in at the end to warm up your mouth. I'm not always a fan of sherry cask finished whiskies, but this one is truly incredible! Nose - The nose starts with cherry pie and flapjacks. Hints of orange boiled sweets come next and peanut butter. Taste - The palate is quite rich and creamy. Bourbon notes mingle with orange and raisins. A cross between an Old Fashioned and a Manhattan. Finish - The finish has syrupy elements with vanilla and honey. This entry was posted in Blog, Lady of the Drams on 21 January 2019 by Vicky Keough. The Whisky Shop Dufftown is one of the very few, if not the only, whisky shop to have a mother and daughter team working together I thought it might be good to give you an insight, as a mum, as to what it’s like and how it works. I started working for The Whisky Shop Dufftown in October 2010 and my daughter Kat joined us in February 2015 after completing a couple of months training just after her 18th birthday. When Kat and I first moved to Dufftown in 2006 we did the obligatory distillery tour as I had never tasted whisky before. As impressed as I was, unfortunately, Kat was just as equally unimpressed thinking it smelt like cow manure. I thought this would be the end of any temptation Kat might have towards whisky. How wrong I was! Obviously, it wasn’t the end for me as I found some whiskies I liked. Then 4 years later I “inserted” myself into The Whisky Shop Dufftown and have been here ever since working my way up from shop assistant to Retail Manager. Through my new found love of whisky I kept encouraging Kat to try different ones, after she turned 18 of course. Eventually she found some she liked. Just like with me this grew into a passion for all things whisky. Eventually she decided she wanted to join the shop as well. I was of course delighted by this however, poor Mike wasn’t sure he could cope with both of us, but agreed to give it a go. Kat started as a shop assistant and has now worked her way up to Social Media Manager. 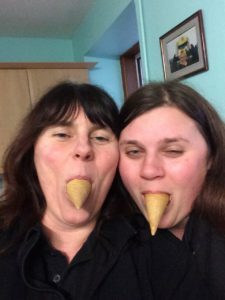 Kat and I have always had a very close relationship and are very similar in almost every way from our sense of humour to our tastes and mannerisms. This has helped us maintain a well-balanced work/life relationship where one doesn’t affect the other. I know a lot of people who say they would never work with family but if anything, it has brought Kat and I even closer together. We now also have a third generation to train up in 17 years who already loves being in the shop with mum and grandma. Not working obviously but when we pick mum up after her shift. Like me, Kat was quite shy and quiet so it has been brilliant for me to see how Kat has blossomed since joining the team, gaining not only in experience but in confidence as well (okay those of you who know me can pick yourselves up off the floor now). Kat has been on whisky judging panels, can help anyone find their first whisky or a new whisky they’ve never had before and confidently recommend a dram you will enjoy. Not many mums get to see their daughter in action in their job so closely and I feel very proud when I watch Kat with customers and see how far she has come. I am so glad to have been and continue to be part of this journey with her. Keep an eye out for further insights. 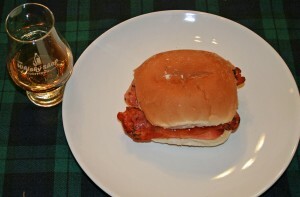 What is the Best Single Malt to Go with a Bacon Roll? 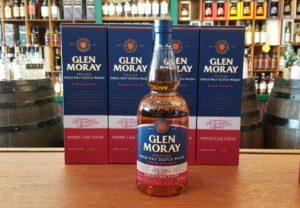 This entry was posted in Blog, Other Whisky News, Spirit of Speyside Whisky Festival and tagged bacon, BenRiach, dram18, Glen Moray, Glenrothes, Macallan on 19 June 2018 by Val Lord. Over a dozen festivals or more we at The Whisky Shop Dufftown, courtesy of our guests at Spirit of Speyside Whisky festival, have been trying to answer this question which is one of the greatest of all questions. Each year we pitch 3 new contenders against the reigning champion from the previous festival to see which one wins and goes forward to the next contest. The winner is decided upon by guests attending our bacon roll and whisky tasting who vote for their favourite in a blind tasting. This is unsmoked bacon and no sauce. This is science! We have collated the votes from all of the tastings we held. Counted them. Checked them again. And ensured there was no outside influence. The number in brackets denotes the place of the whisky in the order of the tasting. There was just 3 votes separating the 4 whiskies involved! We will take that to mean we are getting better and better at choosing whiskies for the pairing. 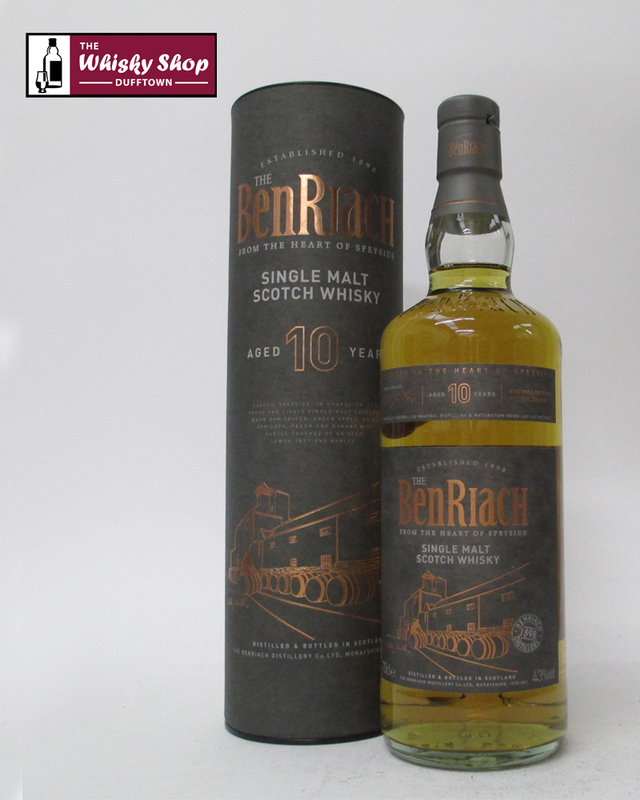 As Glenrothes Vintage Reserve has been discontinued we are declaring the overall winner which will go forward to the next challenge to be Benriach 10 Years Old Classic. Glenrothes Vintage Reserve and Glen Moray 15 Years Old were the joint winners from the last festival. 98 people took part this year and we thank them for their kind support. 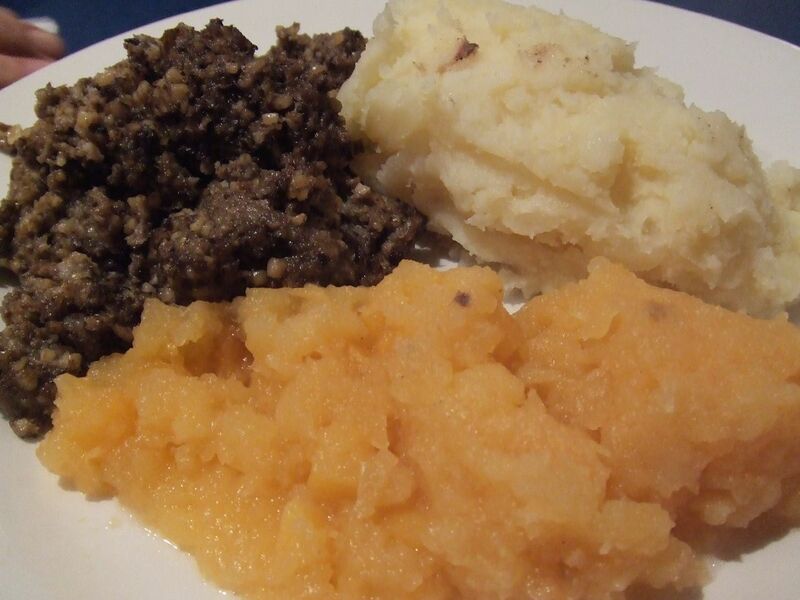 What is the Best Single Malt to Go with Haggis? This entry was posted in Blog, Other Whisky News, Spirit of Speyside Whisky Festival and tagged dram18, Glen Scotia, Glenfarclas, Haggis, Spirit of Speyside, Tomintoul on 18 June 2018 by Val Lord. Over a dozen festivals we at The Whisky Shop Dufftown, courtesy of our guests at Spirit of Speyside Whisky festival, have been trying to answer this life-affirming question. Each year we pitch 3 new contenders against the reigning champion from the previous festival to see which one wins and goes forward to the next contest. The winner is decided upon by guests attending our haggis and whisky tasting who vote for their favourite in a blind tasting. We have collated the votes from all of the tastings we held. Counted them. Checked them again. And ensured there was no outside influence. 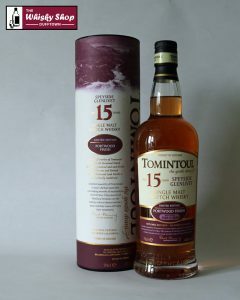 Glen Scotia 15 had been the winner in many many beautiful tastings previously and was pipped this year by Tomintoul 15 by just 1 vote! 62 people took part and we thank them for their kind support. This entry was posted in Blog, Other Whisky News on 12 February 2018 by Val Lord. Smooth, soft, gentle "just like love for your other half"
Fruity, not too harsh or too mellow and should go with the traditional meal of steak for Valentines day. Also at a great price, leaving more money to spend on flowers (hint to husband). From Vicky: Glenfiddich 21 Years Old Reserva Rum cask finish. Soft, smooth and gentle on the nose with lots of fruity notes – mango, pineapple, pear and kiwi. Soft tropical fruits lightly dance around the mouth, warming with the lightest touch of spice and a mere hint of smoke. Smooth and sensuous like silk. This would go with any Valentines meal or for relaxing by the fire afterwards. From Mike: Glenmorangie 18 Years Old. As it is taller than average, honest, reliable and reasonably priced. Just like me. This entry was posted in Blog, Lady of the Drams, Newsletters on 10 February 2018 by Val Lord. A belated Happy New Year to all of you. The first month has already flown past. We had some fantastic sales in the shop over December and January and I hope you all managed to grab yourself a bargain, as there were some great bargains indeed. Kat is back from maternity leave (yaay) and has taken on helping with the twitter and Instagram accounts. The feedback and responses we are getting are great with more people than ever joining us. Keep up the good work Kat! Our events for the May festival are now planned and booked with another 5 days of fantastic tastings, tours and food ahead. The tickets have now gone live on the Spirit of Speyside website and are selling out very quickly so don’t miss out. We wouldn’t want you to be disappointed. Look out for the Head to Head tasting between Mike and myself which was a great hit last year. We are continuously working on our website and other media sites so if any of you have any thoughts or suggestions of things you would like to see on there or any other information you would like putting on then please get in touch and let us know. We will always do our best to accommodate your suggestions where possible. As well as all the great whiskies on the website we now have over 60 gins for all you gin lovers out there. As we settle into the year and peoples thoughts turn to Valentine’s Day, Mike, Kat and myself will put on the website our suggestions for what we think is a great dram to have with that special someone in your life with your Valentine’s meal. Not that any of us will be getting mushy but we will have a dram I’m sure. Well that’s all from me for now but I will keep you updated as our plans for the year progress. Don’t forget you can chat to us on twitter, Instagram, Facebook, email or the website. You can even give us a call on the phone. Imagine that! This entry was posted in Blog, Lady of the Drams on 24 July 2017 by Val Lord. This year is flying by even quicker than usual. I started the year by enrolling onto the Spirit of Speyside Whisky School for 3 days held at Knockando Distillery, which was amazing. The guys who organise this do a fantastic job each year. We had theory work in the mornings with experts from every stage of the whisky process coming to Knockando to talk us through every step. In the afternoon we had field trips which related to the theory work we had done that morning. The school is a great opportunity to learn about whisky for people who are either in the industry or total novices. There is always something new to learn in the world of whisky. For the shop, the season started off with a brilliant Spirit of Speyside Whisky Festival which saw thousands of people come along to the shop and to the tastings we arranged. A great time was had by everyone with record numbers attending. After the festival we had the arrival of the newest member of The Whisky Shop Dufftown team, my first granddaughter Thea Jean. She is absolutely gorgeous and has already been round for her first tour of the shop. Now the season is in full flow and the shop and internet is busier than I have ever known. This will explain why if you come into the shop you may find either Mike or myself asleep in the corner or wandering around like zombies. We have a lot of new bottlings in the shop which we hope to be able to review for you over the next few weeks. You will also find these under the ‘new’ section on our website. In the shop during the summer (June to September) we are holding free in store tastings every Saturday from 1pm to 5pm, where representatives from either independent bottlers or distilleries, or even breweries will come along to let you taste their latest bottling’s. Come along and join in the fun. The Shop itself has had brand new windows and door and is looking very smart indeed. Come and see what you think. Plans for the Whisky Shop Dufftown Autumn Festival are well underway and almost complete and will be published soon so keep an eye out for these on the website. That’s all for now but I will keep you updated again very shortly.